Across the globe, law in all its variety is becoming more central to politics, public policy, and everyday life. For over four decades, Robert A. Kagan has been a leading scholar of the causes and consequences of the march of law that is characteristic of late 20th and early 21st century governance. In this volume, top sociolegal scholars use Kagan’s concepts and methods to examine the politics of litigation and regulation, both in the United States and around the world. Through studies of civil rights law, tobacco politics, “Eurolegalism,” Russian auto accidents, Australian coal mines, and California prisons, these scholars probe the politics of different forms of law, and the complex path by which “law on the books” shapes social life. 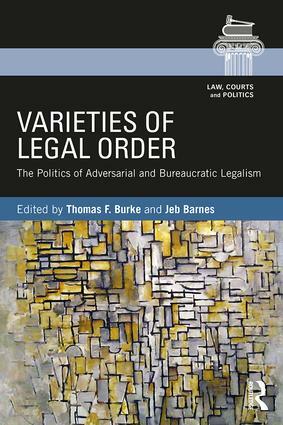 Like Kagan’s scholarship, Varieties of Legal Order moves beyond stale debates about litigiousness and overregulation, and invites us to think more imaginatively about how the rise of law and legalism will shape politics and social life in the 21st century.